Acupuncture treats health, not disease. It is important to realize that the below symptoms or conditions are merely descriptions of dysfunctional patterns in the physical, emotional and/or psychological aspect of a person. 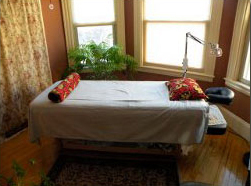 I treat the underlying erratic patterns or imbalances which permit the manifestation of symptoms or ailments. I will address the root cause of your condition by supporting and guiding your innate healing power and rebalancing the energetic interaction of organ systems. My goal is to resolve symptoms and conditions at their origin – not mask them. Treatments are available for adults and children. Note, the following list is not exhaustive. Please call or e-mail if your concern is not on the list.